Cloud and Storage Services | Red Skios LTD. When it comes to cloud computing, it’s not a matter of if, but when. The business benefits of increased efficiencies, cost savings and improved time-to-market cannot be ignored. IT needs to position itself increasingly as an integrator of services sourced from a range of third party providers. Skios provides consulting services to assist companies to plan and manage this transition. As an end-to-end provider of cloud computing services we understand how to develop a cloud strategy and road map that fits the needs of your business strategy. IBM SmartCloud Enterprise allows to have from business applications to service platforms and IT infrastructure, including server cloud and virtual storage; provides a hosted and secure IT structure; with “on demand” access to storage resources and virtual server. Perfect for development and testing activities, as well as other dynamic workloads. 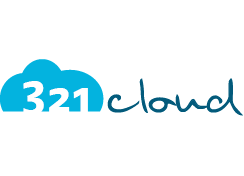 321 Cloud is a solution developed by Skios in order to manage resources on IBM SoftLayer. Our software optimises existing standard panel and improves it thanks to new features and a solid security protocol. It is available as SaaS (Software as a System) and as a developing library for Java/JEE6, 321Cloud JEE Enabler. 321Cloud + SoftLayer from Red Skios S.A./Ltd..